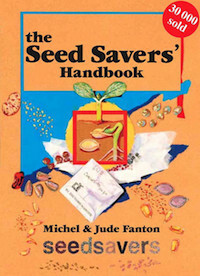 Mid Blue Mountains Seed Savers are a small but keen group of gardeners dedicated to growing as much of our own organic produce as possible, using locally saved seed varieties. The Mid Blue Mountains Seed Savers are primarily interested in saving and swapping seeds and other propagation material for plants that will grow in the members local area – which covers most of the Blue Mountains to the west of Sydney. Since 2003 we have been meeting to swap information, ideas, recipes, as well as prepare, pack and catalogue our own home grown seeds. We are also keeping growing notes and records for propagation and germination and are currently working on a database to make this information more easily publicly available. We maintain a seed bank that is available for people to peruse and purchase from. These seeds are all grown and saved by members in the local area. We cordially invite other food and gardening enthusiasts in the Blue Mountains to come and join us. Our group is affiliated with the Seedsavers Network, which aims to preserve traditional food plant varieties. These varieties have been developed by many generations of farmers and gardeners from all over the world and now form part of our cultural as well as culinary heritage. Unfortunately many of these older heirloom varieties are being lost and are being replaced by a much smaller number of varieties more suited to supermarket and food processing industries. Larger farming businesses are tending towards growing only those varieties of plants that suit mass production and handling and are less interested in variety in flavour and other characteristics that are often more evident in older varieties. A large proportion of the worlds current food production seeds are owned and their sales controlled by a small number of very large seed companies. Not only are many of our food crops now patented but we also face the prospect that they may be genetically engineered as well. The Seedsavers Network is involved in many local projects in Australia, as well as sponsoring projects in poorer countries. We meet approximately 4 times per year on Sunday mornings between 10am and 1pm at the lovely Bullaburra Progress Hall, located at Bullaburra Park on the corner of The Great Western Highway and Noble Street Bullaburra NSW 2784. You can arrive a bit earlier if you want to help us set up. Hi, I am interested in joining the group. but can’t make it today, 4 March. When is the next meeting please?